First up is my Island Batik ambassador project for April. The April challenge is called "Looking Back: Vintage Quilts Inspiring New Creations." One of the goodies in my box from Island Batik was a layer cake of the Northern Woods line, which is a beautiful collection of greens, browns, creams and oranges with a couple of blues and teals thrown in for good measure. Island Batik also sent 1 1/2 yards of a light and a dark from the collection to supplement. 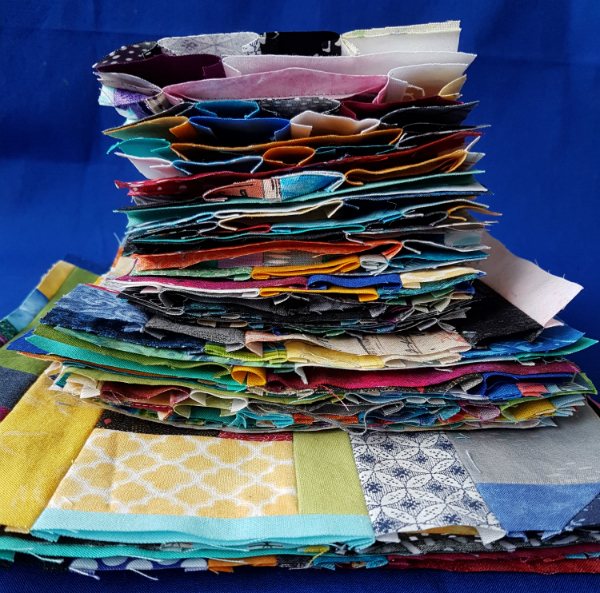 It's the perfect collection for a masculine quilt and since I'm wanting to gift a throw size quilt to a man this summer, I chose it for this challenge. When I set out to create a design, my must-haves were layer cake friendly, good for a man (so no applique flowers, lol) and using classic blocks. Here's what I came up with, coloured to resemble the Northern Woods line, although somehow some purples snuck in there. 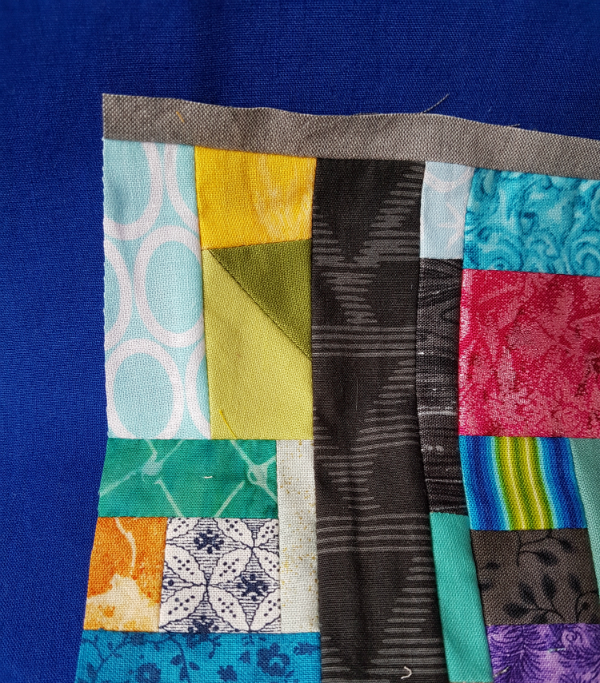 There are 4 patch blocks, pinwheels and those large neutral squares remind me of old fashioned album quilts. They'd be great if you were looking to make a signature quilt for a special occasion. So far I have the rows all pieced together. The lighting isn't great in this picture, so the colours aren't quite right, but they're close. I'm looking for pattern testers for this design, so if you're interested just let me know. I'm hoping to have the pattern written and ready for testing by the end of next week. Next up is my scrap sewing. 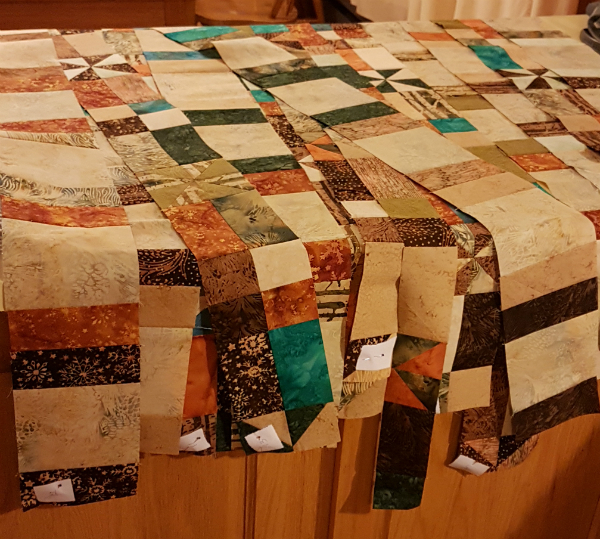 I've finished all of the units I need for the quilt 😊 They look so beautiful all stacked up. Here are a few scattered about. I love some of the tiny pieces that made their way into the blocks, like the small green triangle and the small blue rectangle in this block. 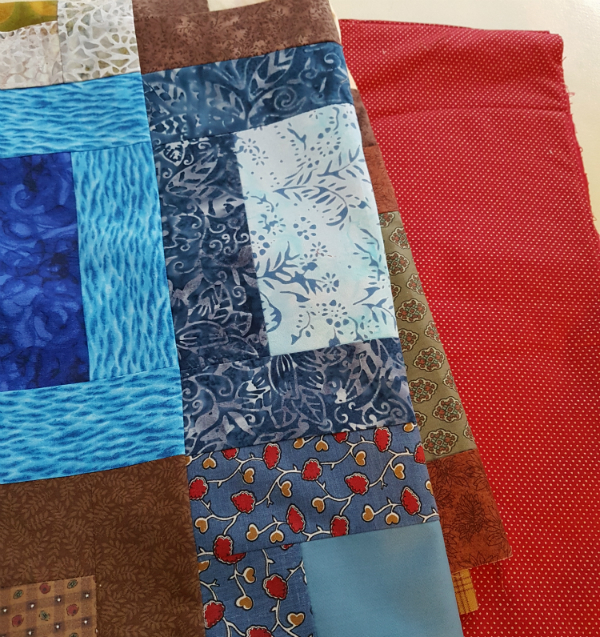 It was fun to use the tiniest pieces, though it did make piecing these blocks take longer than if I had been using larger scraps. And as my last project in the works this week, I have another first responder quilt ready to be basted and quilted. I thought I would get it basted last night, but I ran out of time. Hopefully it will happen tomorrow morning. Next week is our Easter break, so I'm hoping to get it quilted during the week off. Fitting in these last few first responder quilts (8 more after this one) around my deadline quilting means that it will probably be a few months yet before I get them all done. I'd really like to get them done and gifted before the summer, but we'll see. At least I'm down to single digits left to go, lol! That's what on the go in my sewing world this week. What are you working on? Great collection of fabrics. I like your pattern design. If you still need testers, I'd be happy to help out. I just found your blog from Kelly's NTT post, and I've signed up to follow you. 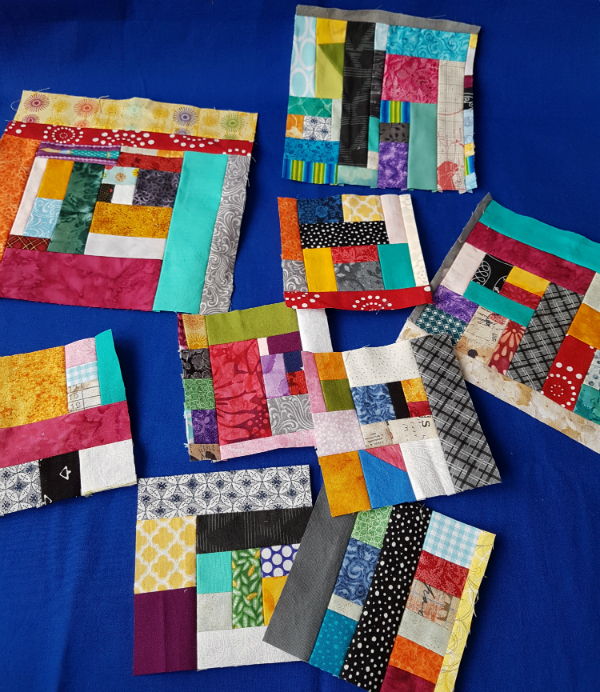 LOVE your challenge quilt and all the other projects you've got going on! If you're still looking for quilt pattern testers, I wouldn't mind giving it a try! Celebrating with a Free Quilt Pattern!